There are numerous ways you can contribute to Deep Griha's life-changing work. You can help by giving, by lending your time and skills as a volunteer, by telling others about us, and more! Our organization depends on the generosity and involvement of people like you. Thank you for helping to bring the possibility of a better life to so many people. You can make a real difference in the lives of individuals struggling to overcome the difficult conditions in slum communities. By supporting Deep Griha's programs, your donation helps pave the way toward a brighter future. 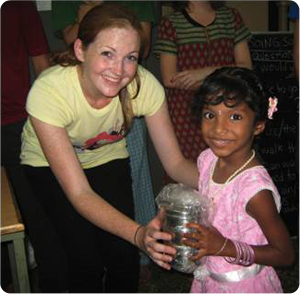 We are very enthusiastic about getting both local and international volunteers involved with Deep Griha's programs. Volunteering provides a great opportunity for you to help the underprivileged, gain hands-on experience, and meet people from a wide range of cultures and backgrounds. The work you carry out as a volunteer depends on your own skills and interests, as well as the specific projects that Deep Griha is running at a given point in time. 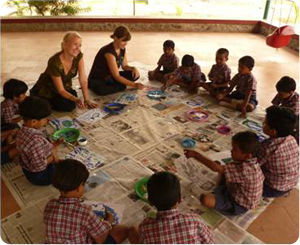 Potential volunteer opportunities include working with the daycare and pre-school programs in Deep Griha's urban centers, teaching English and computer skills, assisting with event management and fundraising, and working with HIV/AIDS outreach programs. If you think you might like to volunteer, please send us a message through our Contact Us form indicating your interest, and we will discuss with you the projects in need of volunteers at that time. You can also help by spreading the word. Tell your friends, family, and community. Post something on your Facebook wall. Tweet about us. By raising awareness of Deep Griha's work in the slums of Pune, you can help us increase support for our cause. For more information on other ways to help, send us a message through our Contact Us page. We are always happy to hear from you!